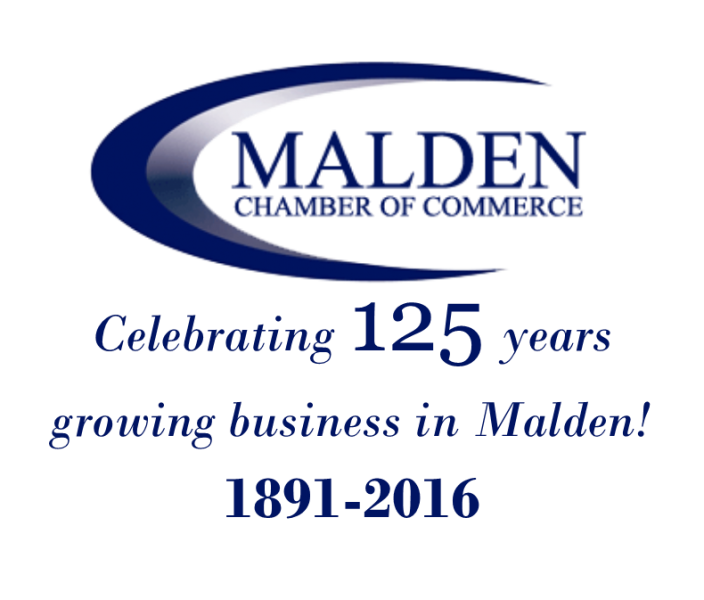 Founded in 1891, the Malden Chamber of Commerce is the largest organization dedicated to commerce in the City of Malden. With over 300 members the Chamber represents a wide range of businesses and organizations and is focused on developing the commercial and civic interests of the City of Malden and beyond. 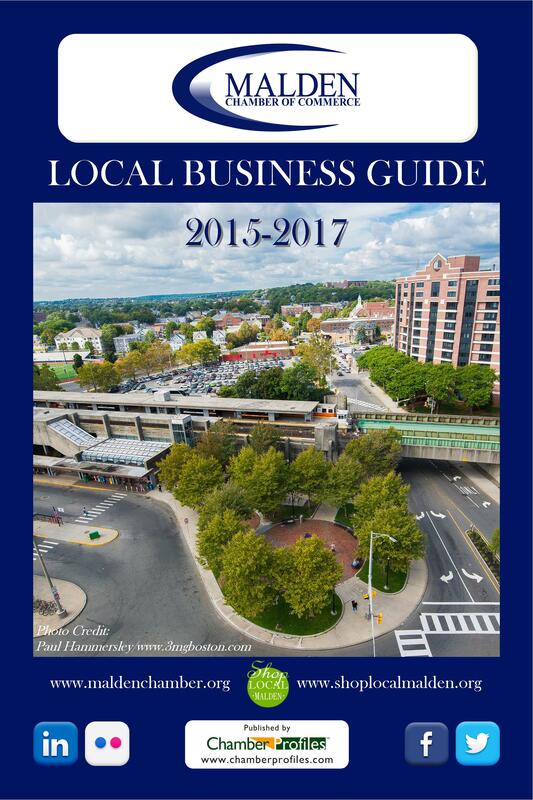 Located at 2 Maplewood Street in the heart of Maplewood Square, the Malden Chamber supports local business through advocacy, marketing and social media promotion, networking events, business development opportunities and our new Shop Local Malden initiative. The Malden Chamber of Commerce has no affiliation with the U.S. Chamber of Commerce. Our revenue is derived entirely from membership dues and fees from membership events. We receive no government or external funding. Click HERE to see our 2015 “Year in Review” slideshow! 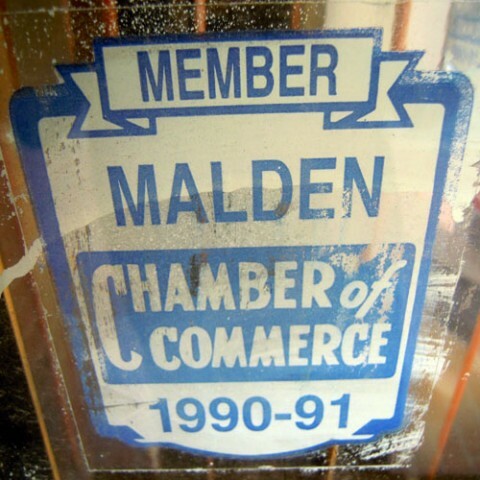 ‘Malden Chamber Through the Years’ -Produced by Ron Cox of Malden Access TV! How did the Chamber begin? Everett J. Stevens, E.E. Locke, Asher F. Black, Geo. H. Woodruff, T.W. Brown, T.R. Howard, John E. Staples, J.W. Graham, L.J. Rodier, G.A. Murray, Will Everett Eaton, John M. Corbett, Jas. W. Webster, Jas. H. Waite. The first meeting was held in Pythian Hall on June 10, 1891. was called to order by Col. E.E. Locke. Everett J. Stevens was elected Chairman and E.e. Locke temporary Clerk, the oath being administered by Albert F. Sargent, Justice of the Peace. At an adjourned meeting on June 19, the constitution and by-laws were adopted. Everett J. Stevens was elected President; E.E. Locke, Clerk and Secretary; James W. Webster, Treasurer, and Asher F. Black and Jas. H. Waite, Vice Presidents. The first Board of Directors was: E.J. Stevens, J.W. Graham, T.W. Brown, J.E. Staples, J.M. Corbett, L.J. Rodier, W.E. Eaton, G.A. Murray. On September 11th, 1891 the Malden Board of Trade was officially recognized as a corporation within the Commonwealth of Massachusetts by Chas. Endicott, Commissioner of Corporations. The Corporate Charter was issued on September 16th, 1891 for a $5.00 fee. The second meeting of the Board of Trade was in Pythian Hall in October, 1891 and the first application for membership was that of CC. Burpee. The next meetings were held in Room N. City Hall, in Corcoran Hall, and in January, 1892, they had a room in the Masonic Building over Yerxa’s grocery store. This room was rented to the YMCA, the Co-operative Bank and the Republican City Committee. In 1893, the Board tried to have the Saugus Branch Creek put in a sanitary condition and a retaining wall built; also the purchase for a public park of the Corcoran and Turkey Red Works land was considered. In the first part of 1894, one of the meetings had to be adjourned as the janitor had lost the key. Consideration was given to having Jackson Street built through to Pleasant Street, and the Board opposed the annexation of Malden to Boston. In 1910, the Board considered a new City Charter, and also the question of having the Elevated cars come to a full stop before passing under the Western Division Bridge as there were many accidents at this place. On March 9th of this year, a Legislative Night was held with 230 present. The speakers were Governor Draper, President of the Senate Allen Treadway and Speaker of the House Joseph Walker. In May, consideration was given to the erection of a Board of Trade building but this was abandoned as subscriptions were obtained for only $10,000. Assembly Hall in the Auditorium Building was engaged for the regular meetings. In 1911, the meeting place was changed to Odd Fellows Hall. In April of 1911, the Malden News issued a twenty-four page paper as a special industrial issue and gave an account of Board of Trade activities. In October of 1911, at the suggestion of the Board of Trade, City Hall hours were changed from 8 to 12:30 and 2 to 4 to be 8 a.m. to 4 p.m. In that same month, the Board conducted their first Merchant’s Week which was a great success.